We're all about collections over at Provisions -- so following that lead, we'll be making recipe collections to go alongside those that are in Provisions. Because recipes want to be together, too.?? Today: What better way to celebrate Friday than with good friends and good drinks? Today we are culling our best tools and tips for an excellent cocktail party. 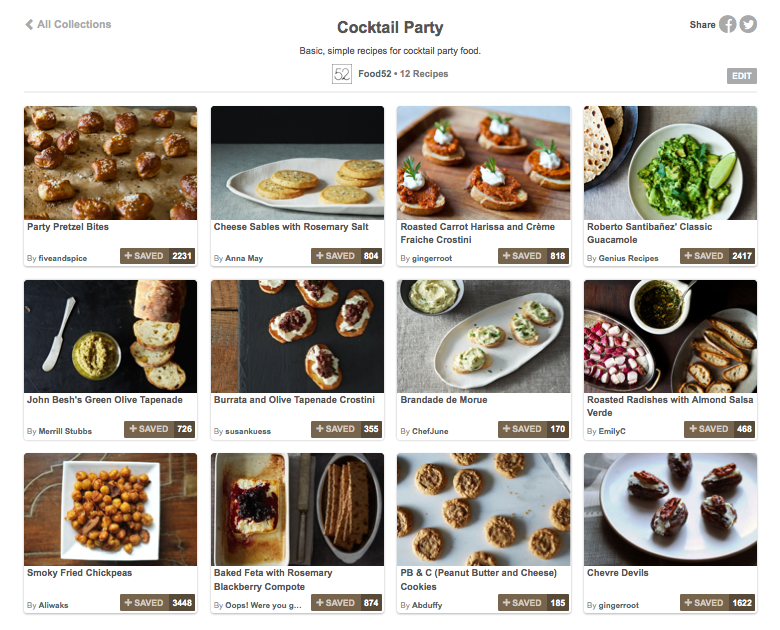 It's easy to throw a decent cocktail gathering (everyone loves a party), but it takes practice to host a great one. Here's our best trick: Start with a very good cocktail. Give it a fun name (Alabama Slammer, we're looking at you), add a splash of bitters or a rim of spicy cocktail salt, and serve it in a pretty glass. It's a minimal effort, high reward strategy that will make the night memorable. Don't stress over the food. Stick to a few of our go-to basic hors d'Oeurves -- simple and good will always work.